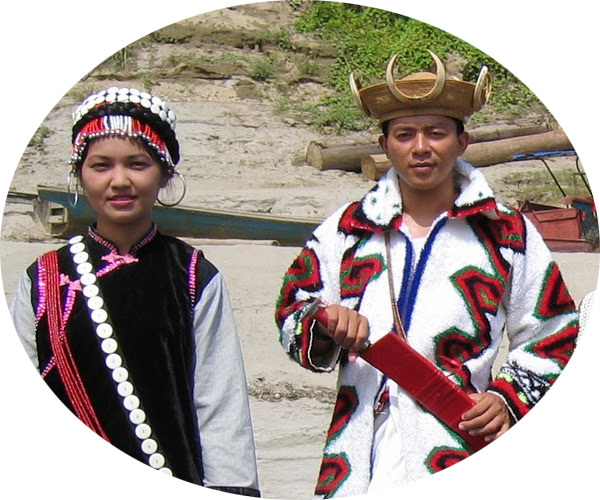 The headgear woven from hard cane is a mandatory accessory of warriors of the Ravang tribe relating to the Kachin people living in the northern provinces of Burma. It is a sort of a hat with a low rounded crown and upturned narrow brims. 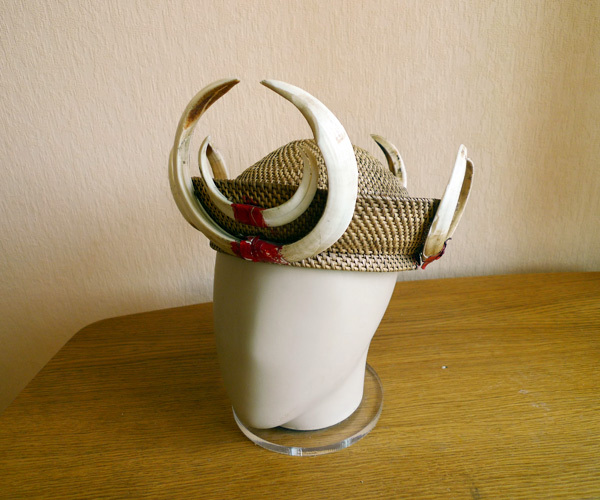 In the lower part where bending of the brims begins there is a small plate pointing downwards with attached at four sides boar tusks, a symbol of masculinity of the owner. 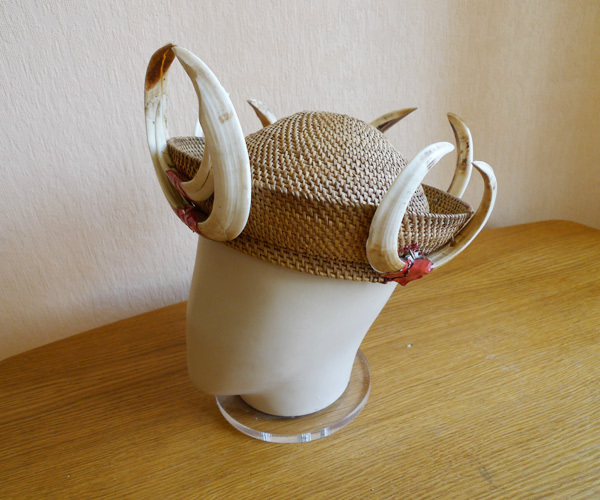 The front of the hat is adorned with the largest tusks, so one headpiece requires 5 boars. Of course, the warrior must kill them with his own hands.